Personality | Ogyen Trinley Dorje: the Next Dalai Lama? Ogyen Trinley Dorje: the Next Dalai Lama? New York, USA -- The Lowdown on the new arrival had been that he was brilliant but austere. "He's not jolly like the Dalai Lama," warned an American devotee. "He's a bit stiff." But the baby-faced 22-year-old who may be Tibet's next great hope seemed perfectly relaxed in his room at New York City's Waldorf Towers hotel, none the worse for his first intercontinental flight. Encountering a laptop-bearing reporter, Ogyen Trinley Dorje inquired eagerly about the computer; like his mentor, he's apparently a Mac fan. Asked if he'd managed to sleep on the plane, he replied, "Sleep, but not well. Lot of ..." Then, his maroon robe dancing, the 17th reincarnated head of Tibetan Buddhism's Kagyu sect offered an enthusiastic mime of a bumpy transoceanic flight. It bodes well for Dorje that he is able to make light of turbulence. As the Karmapa, Tibetan Buddhism's third-ranking personage, he has carried the immeasurable burden of his people's expectations, supernatural and worldly, since he was first recognized at age 7 by a religious search party. The delegation was following the directions in a "prediction letter" left in a locket by the previous Karmapa when he died in 1981; it included Dorje's birth year, parents' names (Dondrub and Loga) and a location. According to followers of the Kagyu branch of Buddhism, the child persuaded his nomad parents to break camp early in order to be in the right place when the searchers arrived. Within months, he was installed in the Karmapa's Tsurphu Monastery as a near divine bodhisattva--or enlightened being--and, by extension, a player in the perilous world of Sino-Tibetan politics. Just how perilous was confirmed in 1995, when the Chinese government forcibly replaced the second-ranking personage, the Panchen Lama, with its own nominee. Most Tibetans rejected Beijing's choice, and many worried that the Karmapa might suffer a similar fate. But in 1999, the 14-year-old, in disguise, clambered out of a monastery window and was spirited on foot and by horseback and helicopter to India, becoming the Tibetan diaspora's teen hero in the process. A nervous Indian government refused to let him travel abroad for eight years. In that time, the Dalai Lama has personally prepped the boy for a leadership role far beyond the Karmapa's Kagyu lineage. Although an active 72, the senior monk knows that after his death it may be years before his reincarnation is identified and then groomed to adulthood. 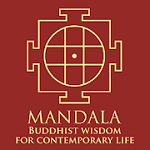 Until then, the mantle of leadership could well rest with the Karmapa. It's easy to see something of the Dalai Lama in his pupil. The Karmapa is a sturdy young man, spectacles clinging to his round shaved head, pebbled brown half boots peeking out from beneath the robe. He actually does smile, and even jokes, impishly describing the stop-start-stop process of New York traffic. He appears to be that rare combination: a born listener who speaks with almost utter assurance, even on controversial subjects. Before his visit, his American retinue stressed that the Kagyu lineage is historically apolitical, but in person he was less circumspect, telling Time, "As far as I'm concerned, the situation in Tibet, particularly the political situation, has reached a level of emergency." As the Dalai Lama's pupil, Dorje feels he must "continue to support [his mentor's political role] as best I can in the future." 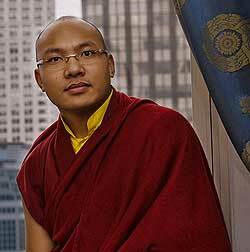 The U.S. is his natural first destination; his predecessor, the 16th Karmapa, loved the country and died in a hospital outside Chicago. But Dorje also seems interested in a political connection. In a pretrip video, he described his religious goals but also expressed the hope that "by connecting with a powerful country such as the United States ... my own abilities to bring peace to the world ... will be enhanced." He says he'd like to spend two months a year in the U.S.
His religious plans are adventurous, too. He wants to be a "21st century religious leader," reaching beyond those of his faith. 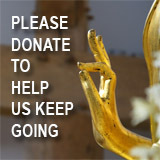 "My work is not going to be conducted only among other Buddhists," he said, "but to help everyone." He showcased that accessibility in a teaching to a packed house at Manhattan's Hammerstein Ballroom on May 17. The speech was filled with easy-to-grasp metaphors: If the world and its cares are a 200-lb. weight, he said, the mind can be a mirror reflecting the weight without carrying the poundage. His audience, Western and Tibetan, was charmed. Said Kunchok Dolma, 25, a student from a New York City Tibetan family: "I feel an elevated sort of happiness." Some well-wishers have reservations. Robert Thurman, an expert in Tibetan Buddhism and a longtime friend of the Dalai Lama's, says Dorje could indeed become the next "face" of his people. But he warns against pressuring the young monk into too much travel and teaching too soon. "He needs a period of practice and study to manifest his full strength," says Thurman. "When I met the Dalai Lama when he was 28, he did not have the level of charismatic power that he does now." Some of his followers worry, too, that the lure of the road might distract Dorje from his people in China and India. But as he demonstrated on his first trip to the U.S., the young monk knows where he wants to go. And he's prepared for some turbulence along the way.